What a difference a week makes, especially when it’s a bye week. 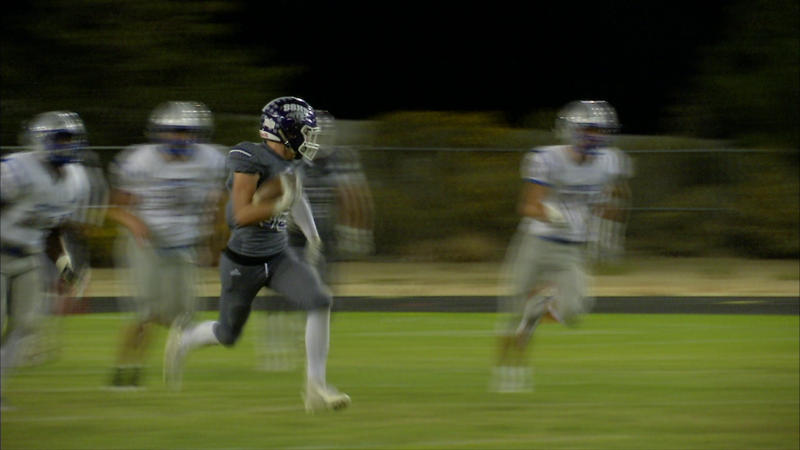 The Spanish Springs Cougars have a deceiving 4-3 record. Friday night they showed why they might be the dark horse favorite in the High Desert League regular season race. Coming into the game, their reputation had been they could only pass the ball. With a trio or running backs, Parker Luthy, Jonny Lee and Colby Preston, plus quarterback, Tristan Szabo, they ran for a combined 116 yards (unofficially). Luthy had a 10 yard run for a score, and Szabo got the opening touchdown on a six yard run to complete an 11 play 70 yard opening drive. Szabo also spread the ball around, passing for 163 (unofficially). The combination was just enough to keep the McQueen defense guessing. For the second week in a row, the Lancers’ running game was anemic. In their first six games they averaged 297 yards rushing. Against SSHS they had an unofficial 58. JD Kolb, the second leading running back in the 4A, came into the game with 175 yards per outing, but he was held to 61. Although Dominique Stallworth threw for 129 yards on 15 of 33, he was scrambling all night long. He connected on a 3 yard pass to Ryan Porter to tie the game at 7, and hit a wide open Brenden Stevenson on a 20 yard strike for another score. Szabo had a stellar performance going 19 for 30 passing (63%) with 2 touchdown passes and no interceptions. Ten of his completions were to Jackson Laduke and Jordan Dudick, who each caught five. The difference in the game was the Cougar defense. They had three interceptions and just would not let McQueen develop any offensive flow. Next week McQueen gets a bye, and hopefully can get everyone healthy for a home game on October 19 against Hug. For Spanish Springs next week they will be on the road against the Hug Hawks. 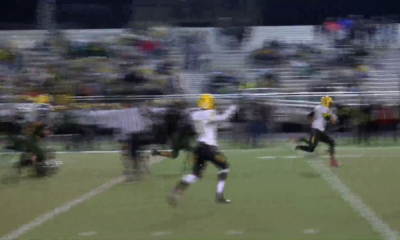 Our video recap of the McQueen vs Spanish Springs game is below.